Are you all prepared and happy with your gifts all bought, made and wrapped up already? Or are you like me and still scrabbling around for ideas and inspiration? 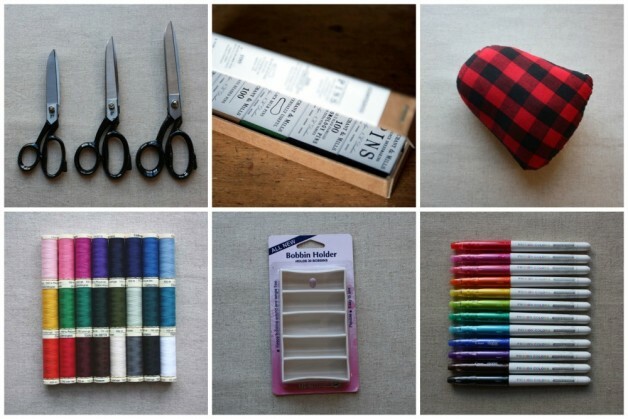 We thought we'd share our top gift picks from Backstitch. Are you ready?! THE CLASSIC GIFT: A KIT TO MAKE: We've got stacks of gifts for all ages and abilities in our Kits & Gifts category. There really is something for everybody. Clockwise from top left we have the Threadfollower Rilla Raccoon, Nancy Nicolson Birdie 1, Kiriki Press Barn Owl, Emily Peacock Kiss & Hug, Buttonbag Mini Cross Stitch Butterfly, and Historical Sampler Company Merry Christmas. THE STOCKING FILLER: FUN BITS! Want some ideas for little bits? Small gifts and stocking fillers. 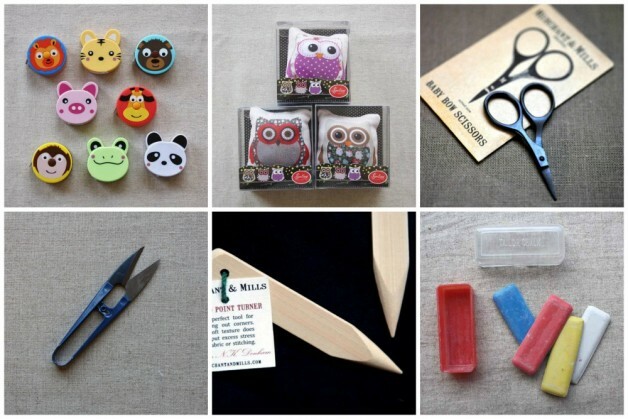 Clockwise from top left we have Animal Tape Measures, Owl Pin Cushions, Baby Bow Scissors, Tailors Chalk, Bamboo Point Turner, and Gun Metal Snips. YUM AND FUN! 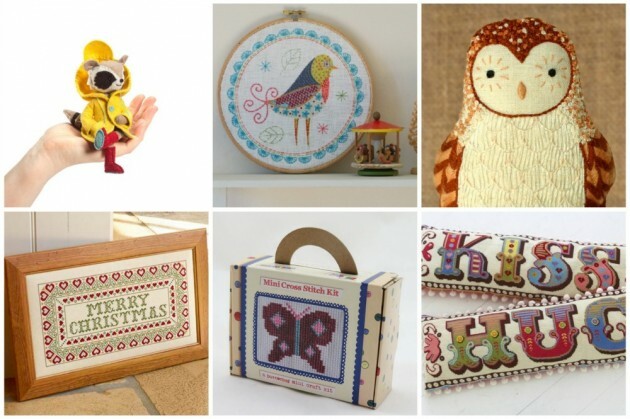 THINGS WE JUST LOVE #1: These are the things that we in the shop want to find under our Christmas tree! Clockwise from top left. Industrial Tailors Shears - these are the real deal, chunky and sharp, Five Boxes of Pins from Merchant Mills - their five bestsellers packaged up as a gift, Tailors Pressing Ham - essential kit for dressmakers, Frixion Colours Pens - the new release from Pilot and the best yet for stitchers, Bobbin Holder - the most unexpectedly exciting bit of kit to keep your machine bobbins organised, Backstitch Gutermann Sew All collections - the best of the threads packaged up in a drawstring bag. YUM AND FUN! THINGS WE JUST LOVE #2: Clockwise from top left Couple Cut Spotty Scissor set - erm, how brilliant?! And a snip at £4.95 (sorry for the pun).  Backstitch Sewing Kits, Hot Toddy Felt Bundle, we do gift vouchers too! 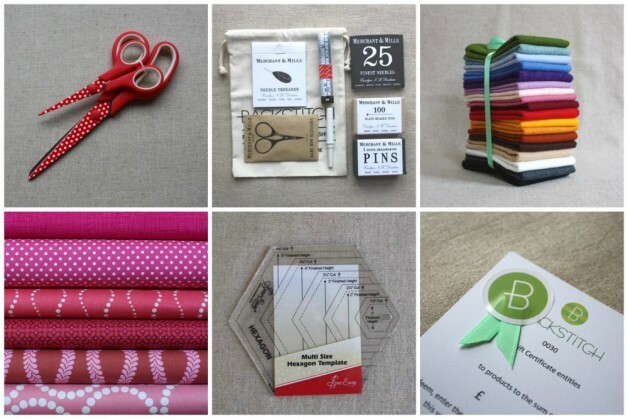 How about a Hexagon Template for the quilter in your life, or what about one of our Cocktail bundles? !